Here in Honduras, Sean and I have happily taken the opportunity to interact with some great local kids who seem almost as excited about spiders as we are! 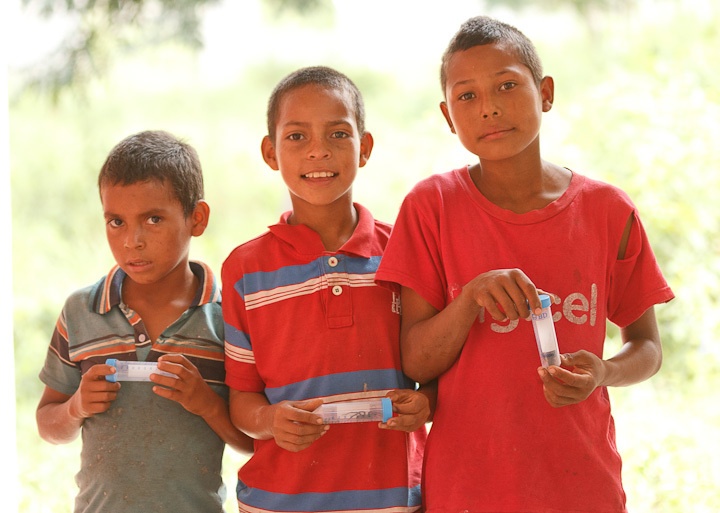 We lent them some plastic tubes for collecting, and they headed off to search for cool spiders around town. 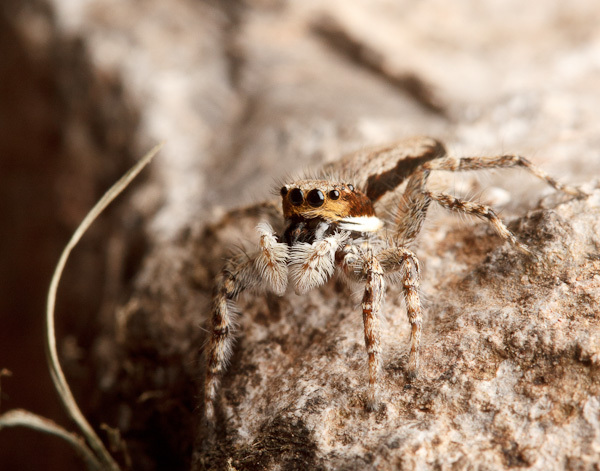 In no time at all, they brought back an impressive collection, from tiny jumping spiders to massive wandering spiders. These kids are totally fearless, casually picking up spiders that are about half the length of their hands! Sometimes they were a bit too enthusiastic in their efforts to capture a speedy specimen, and one brought back a partly crushed spider and a bite on his finger to show for his efforts. 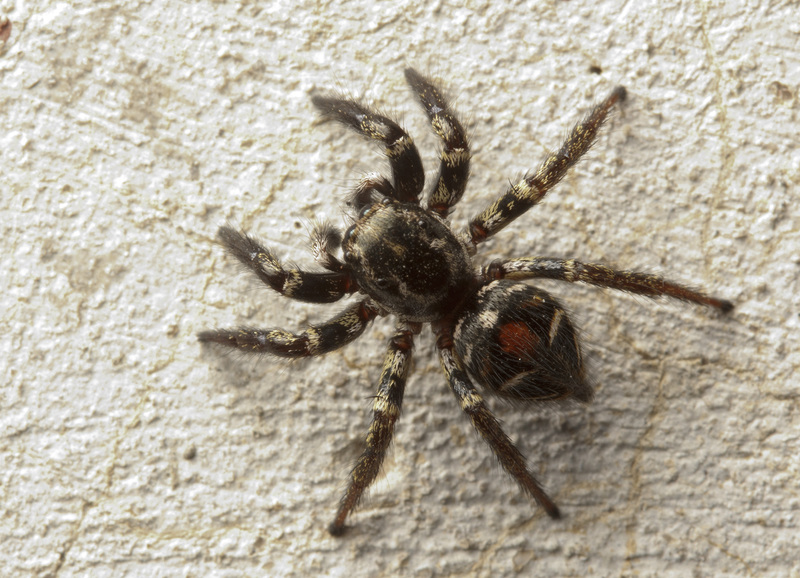 (Spiders do occasionally bite, but only as a last resort if they are in a life-threatening situation!) He seemed more proud than upset by this result, but we tried our best to encourage gentler handling from then on! Here’s a selection of the best shots from one afternoon of collecting (all photos by Sean McCann). 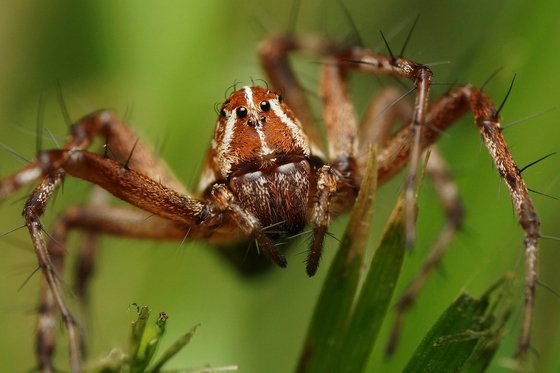 A large wandering spider (family Ctenidae). I’m not sure about the identification, but she looks similar to the Ancylometes bogotensis I wrote about in a post on ‘bridal veils‘. 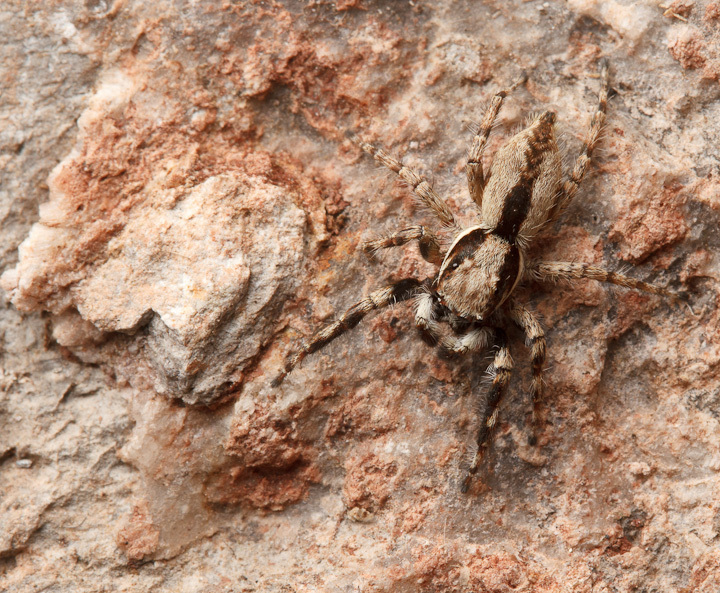 A lovely female grey wall jumper, Menemerus bivittatus. 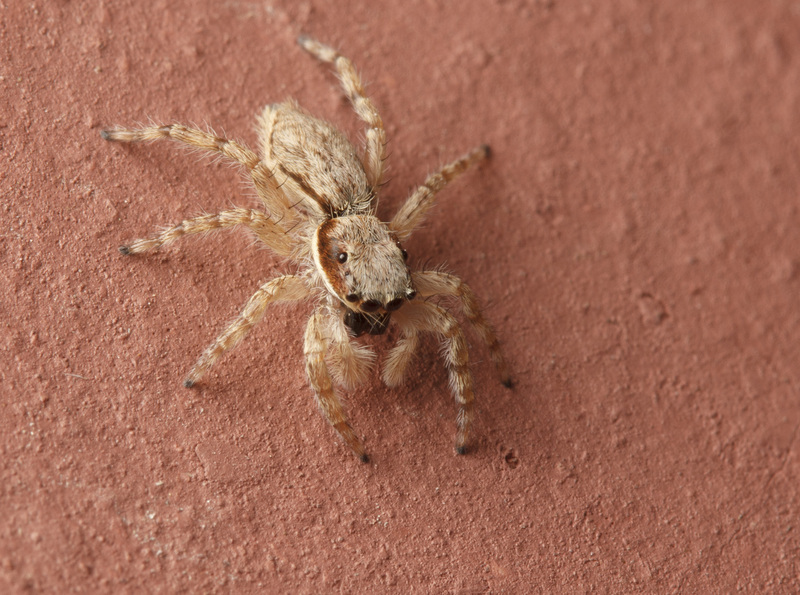 This species can also be found in the southern U.S.
A male grey wall jumper (I’m guessing he was caught in close proximity to the female), doing what wall jumpers do, hanging out on a wall. 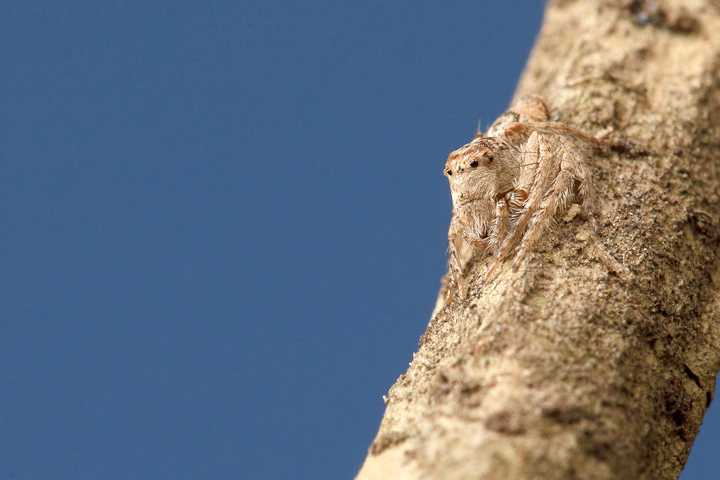 A tiny tarantula spiderling! 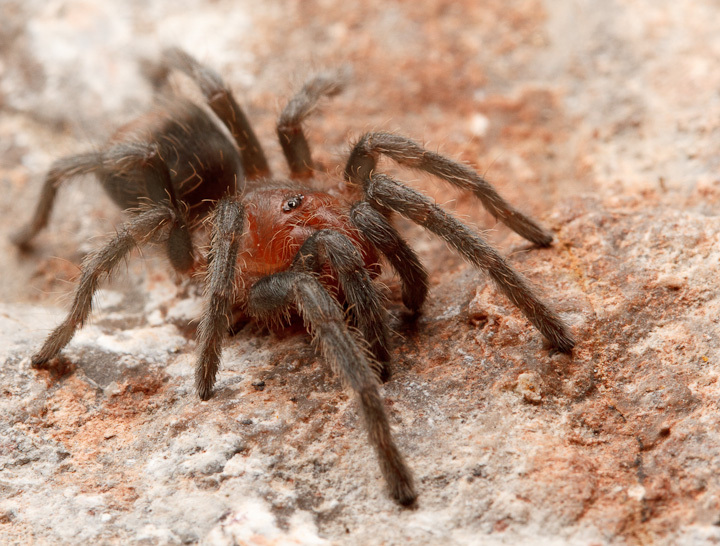 Notice that the back end of the abdomen is bald… most likely in response to a kid trying to capture it, this spider has shed its defensive urticating hairs (more about tarantula defenses here). Our first field expedition is scheduled for next Monday, and we still have a lot of preparations to make, including a trip back to Tegucigalpa to submit some official paperwork and buy additional equipment. 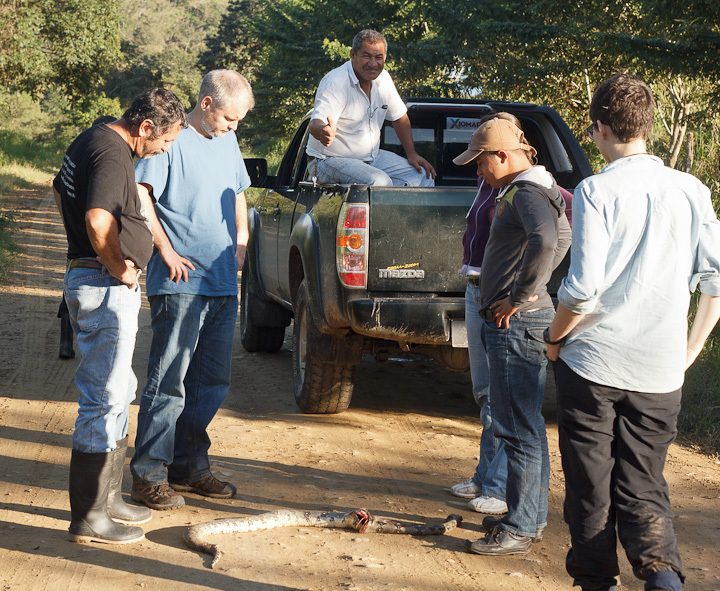 While we’ve been settling in and getting things organized here in Gualaco, we haven’t gone out much, except for a visit to our new friend Rafael’s farm. That’s not to say we haven’t had a chance to find more spiders though! 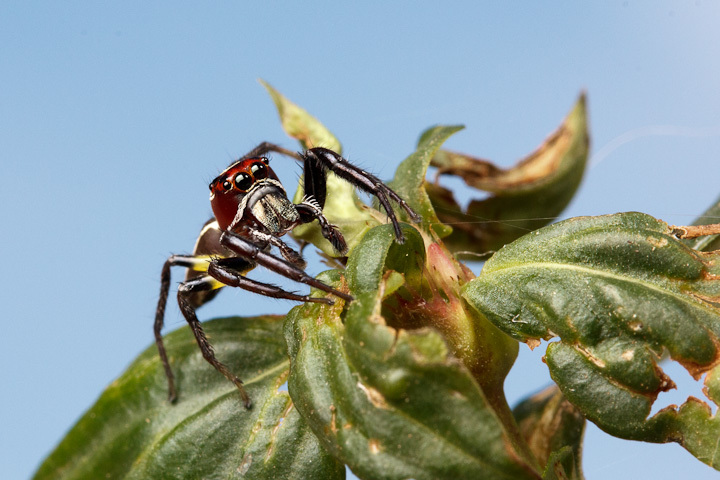 and a very handsome wandering spider (Ctenidae) with neat spikes on his abdomen. 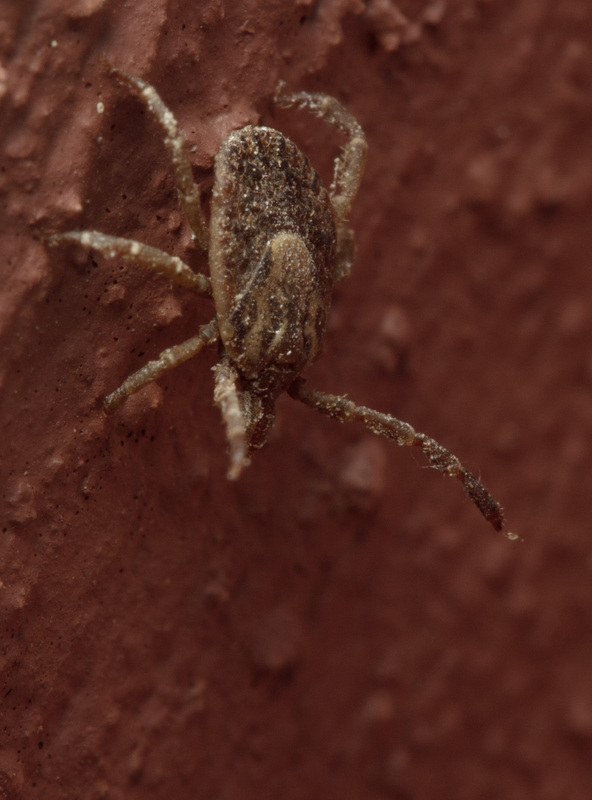 A questing tick (family Ixodidae)! 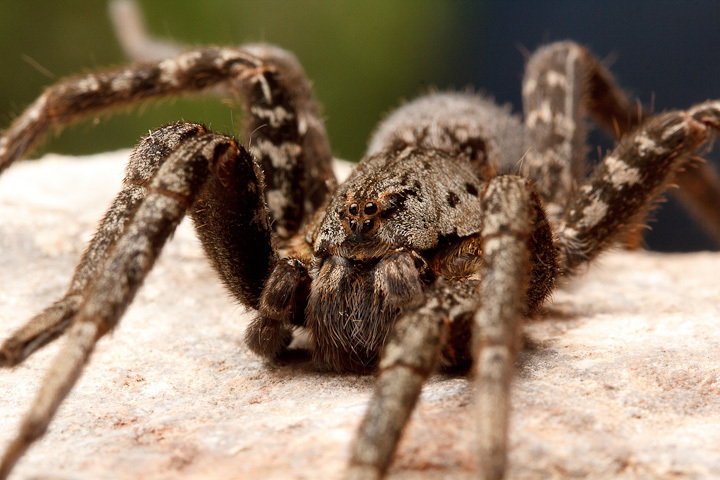 We would definitely prefer not to become a host for any of these arachnids. Just outside is a yard full of plants, rocks, mud, and debris, which is variously occupied by the horses, pigs, dogs and other animals that wander freely through the town. This explains the abundance of ticks, and from now on we’ll be careful of wandering through this area! 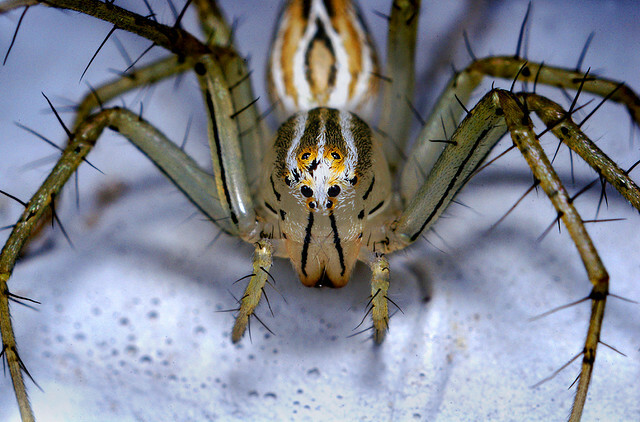 At night, under the light of a headlamp, the yard sparkles with the eyes of many spiders. 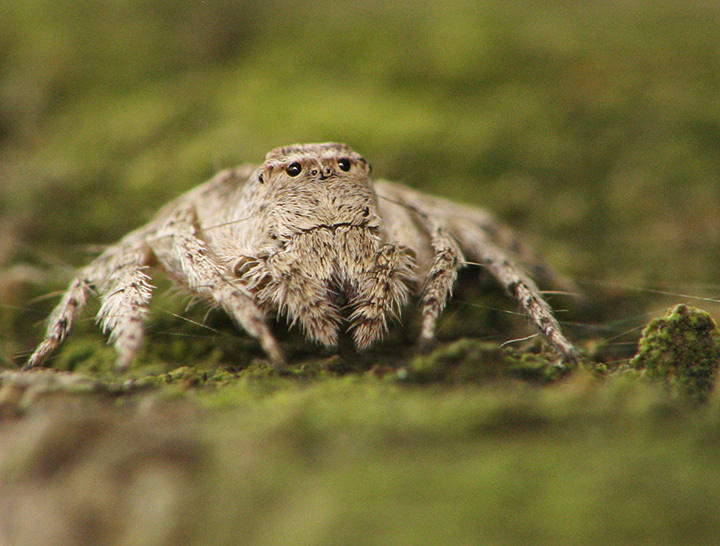 The other evening, a very brief investigation yielded the discovery of several wolf spiders. 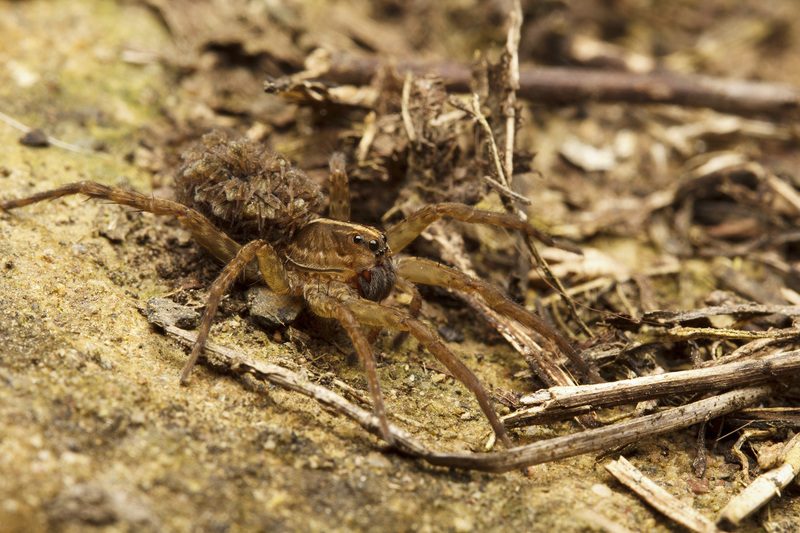 A mother wolf spider carrying her spiderlings (called pulli-carrying behaviour). 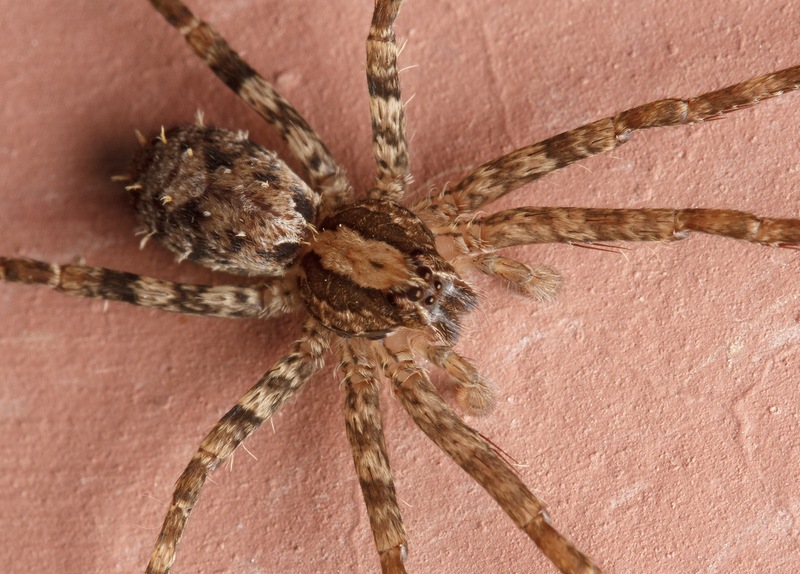 Almost all female lycosids carry their offspring on their abdomens, with some exceptions. 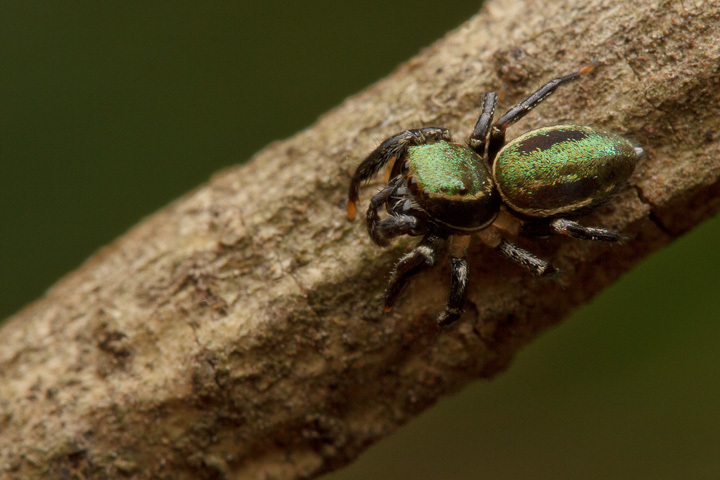 A male lycosid that looks like the same species as the female above. 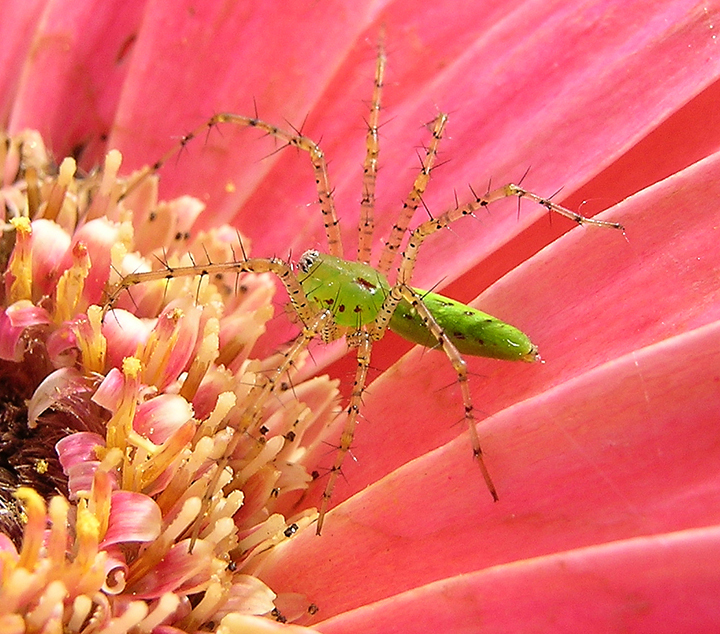 If anyone knows more about the identities of these spiders, please let me know in the comments! Thanks, as usual, to Sean for the beautiful photos! We finally made it to our destination, the town of Gualaco in the department of Olancho, after three long days of travel (including an unexpected detour through San Pedro Sula due to poor weather preventing our plane from landing in Tegucigalpa). After spending two nights in a local hotel, we’re now installed in an affordable apartment (the rent is about a tenth of the cost of similar accomodation back home in Vancouver) that will serve as our home base for the coming months. 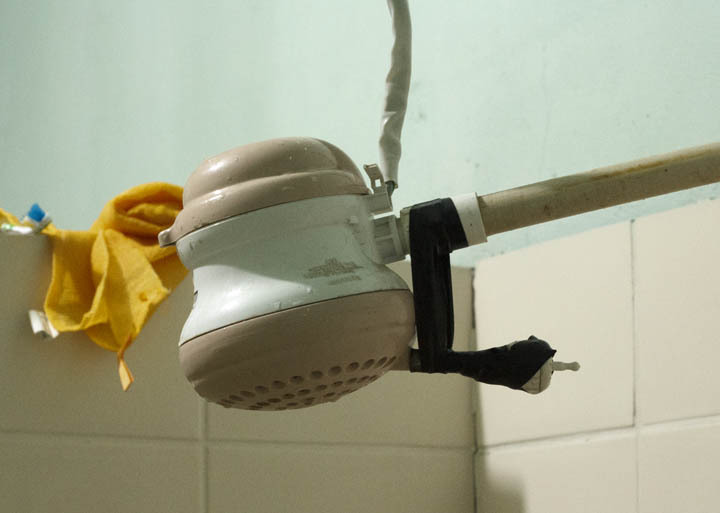 Things are definitely different here – for one thing, there is no hot running water in Gualaco. This is the slightly scary, and mostly ineffective, electric showerhead that was in our hotel room. We are not sure yet whether we’ll invest in one for our new home. Yesterday, we took a trip up some very interesting roads to the pine forest where we’ll start our caracara work. We visited the site where a local named Isidro (who will be our guide for the next month) monitored a red-throated caracara nest last year. We had a very long and interesting ride, with eight people in one 4-wheel drive pickup, along some extremely bumpy and muddy roads. We passed this unfortunate boa constrictor, which evidently chose the wrong time to cross the road. 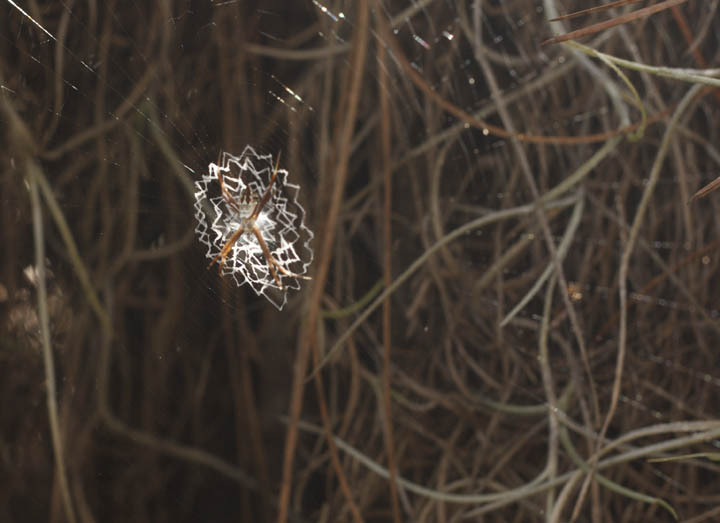 Although we didn’t have much time to stop and investigate or photograph cool animals as we hiked in and out from the nest site, Sean did manage to snap a couple of shots of spiders that we passed by. 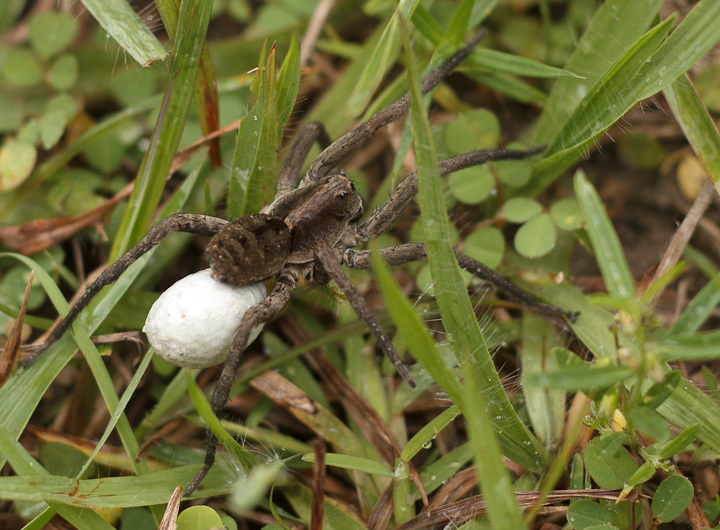 A wolf spider (family Lycosidae) with her silk-wrapped egg sac attached to her spinnerets. 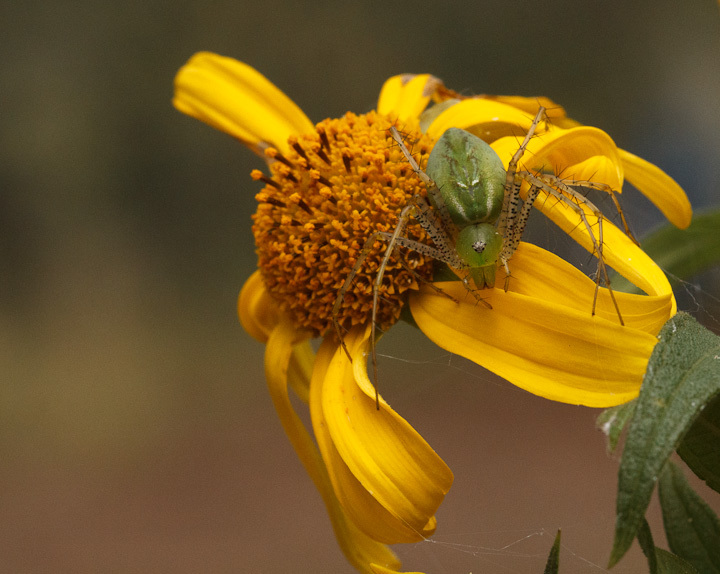 An Argiope (Araneidae) with a beautiful star-shaped stabilimentum. We also have plenty of familiar spider friends in our apartment, that appear to be helping with the moth infestation. 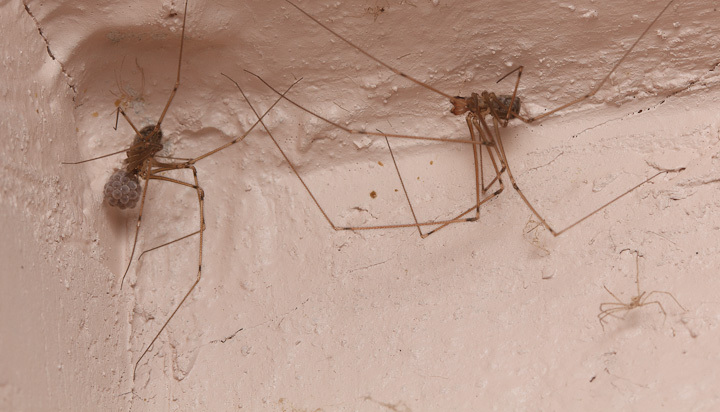 Lucky for us, our apartment contains an abundance of cellar spiders (Pholcidae)! 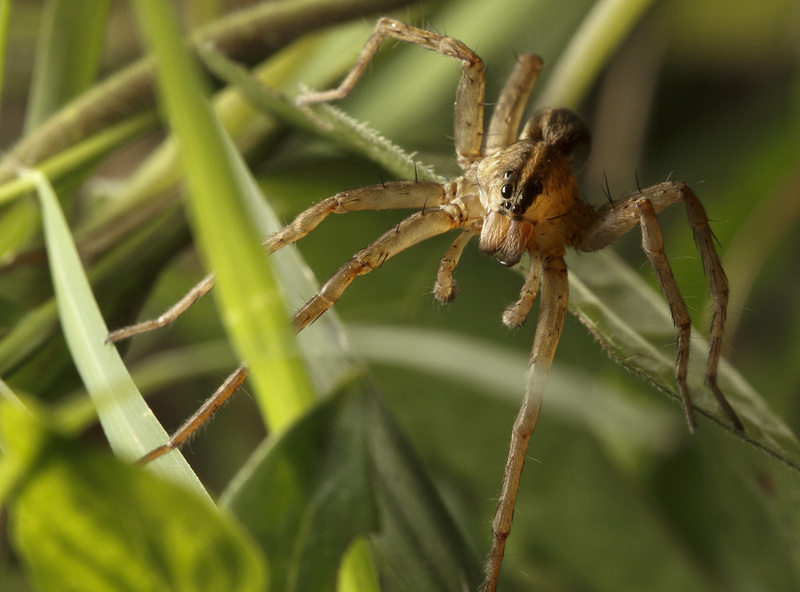 Here’s a female with her egg sac clasped in her chelicerae, and an attending male. 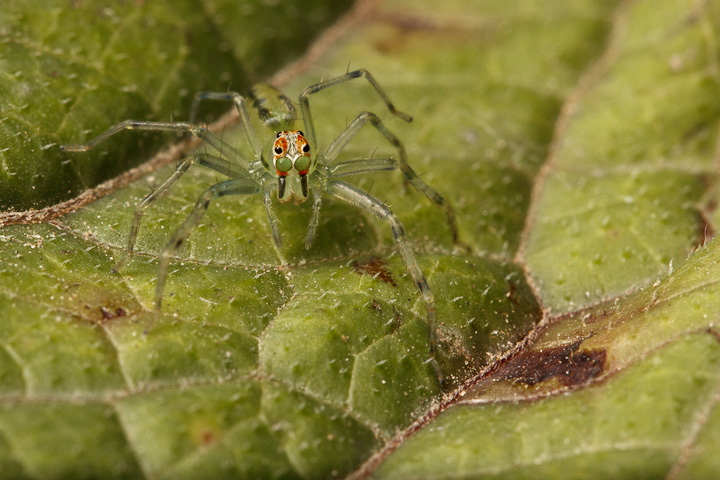 Once we’ve had more time to explore local habitats, I am sure I will be able to post lots more about the spiders of Honduras! Hasta luego! Thanks to Sean for all the photos.